V-Neck Graphic Tee — SSMedia7 Ltd.
How it works: Take your picture or custom design and add it to our shirt and great print quality and WHALA! You have a great shirt at an unbelievable price! Our V-Neck Graphic Tee’s are some of the most beautiful and soft shirts made in the world today! With the ability to print a full range of 16 million colors directly into your shirt, we can reproduce high quality pictures, detailed graphics and pristine logo’s. Our printing technology is optimized to keep prices low and quality high. When you run your hand over your shirt you will not feel the ink. Your design won’t crack and will never peel over time. Order one shirt or dozens and be guaranteed of the same great price. We offer our free Online Design Tool so that you can unleash your creativity. Add as many colors, pictures and graphics as you like. The price does not change! Design to your hearts content. Don’t have that design flare? No problem! When you order 10+ shirts you can have our award winning design team create an amazing shirt for you! Ordering less then 10 shirts but still need it designed for you? We can still help! We make the design affordable. For only $15, the S7 Design Team will create that special shirt for you. 3-5 Business Days: Time begins once a completed design has been submitted. If you are having our team design your apparel, then the production time for the shirts begins once the design has been completed and approved by you. 5-10 Business Days: Time begins once a completed design has been submitted. If you are having our team design your apparel, then the production time for the shirts begins once the design has been completed and approved by you. Please call to get accurate turn-around. Estimated production days is based upon our current volume of projects. Typically, most bulk orders require 3-10 business days. During the busy season it may require more Once again, this is determined by work volume. Call to get accurate estimates. Printing Type: Direct To Garment (DTG). We reserve the right to switch to Sublimation Printing without notice in order to complete your order. Direct To Garment (DTG). 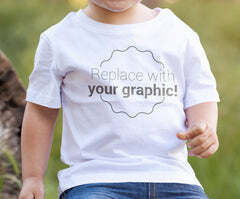 We reserve the right to switch to Sublimation Printing without notice in order to complete your order.